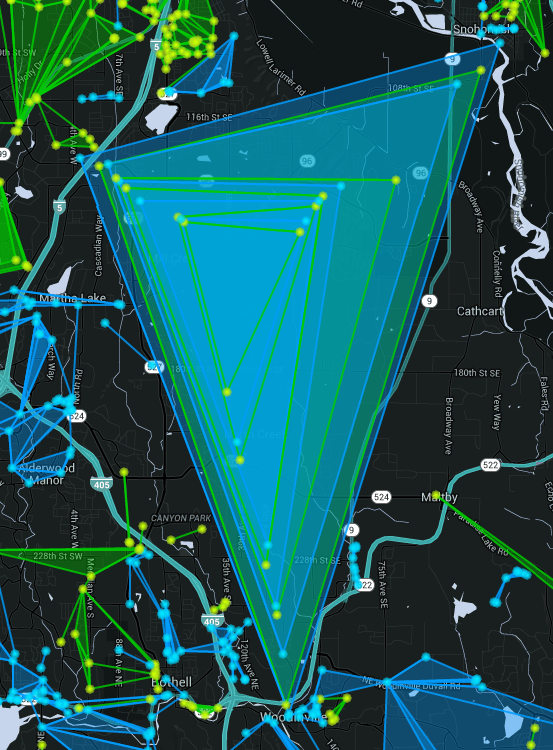 #Ingress Enlightened and Resistance Agents in Seattle, Washington decided to put differences aside for the day and set out to paint the town teal. If you're an +Ingress player in the general Seattle area, you know its an incredibly active play area. Most portals and areas flip often, and "up north" is no exception! A few ENL and a few RES decided to take an afternoon off from PvP and instead play CO-OP! I think yesterday everyone who participated got to meet IRL someone they had at various times played really hard against, and instead play WITH them! Everyone had a blast, and overall it was very easy to pull off successfully. Both (broader) teams in the area didn't smash or block, and afterwards there was lots of positive feedback! As with any field - HUGE thanks to those who cleared! Yes its fun to "smash portals" but lets be honest - clearing is a tough job that comes without the rewarding "throw"!